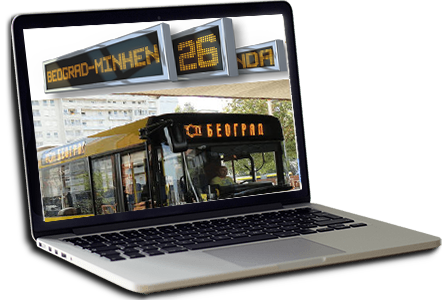 BL LOGIC LED Display - depending on the user needs BusLogic display offers a variety of information displaying options, not only to passengers but also for employees within bus carriers and other companies. Currently BLLD is offered in several options: in the bus info display - internal and external, display for bus stations, outdoor bus stop display and mini display showing clock. The main purpose of the bus station display is to show departures from the central bus station. 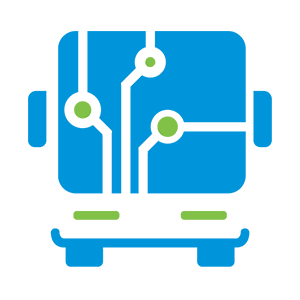 Information, including timetables taken from a BusLogic system schedules used in all other system components : cash registers, counters, booking system etc. BusLogic displays are made in LED technology with a very clear presentation of content, using LEDs with high durability and minimal power consumption. 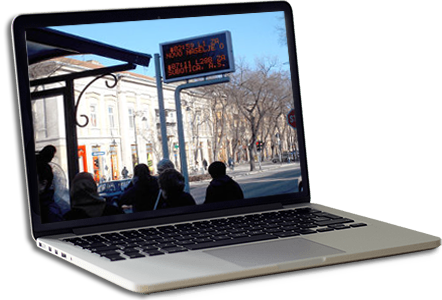 DL displays can show all the relevant information related to the departure and arrival of the vehicles , date , current temperature, and additional information retrieved from the BusLogic systems such as info about new lines or display advertising messages and images. The displays are mounted in a durable aluminium case of universal design and as such as all the environments, whether it is used indoors or on outside bus station or platform .